The best 'rijsttafel" we've ever had! 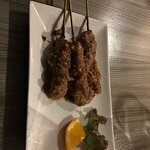 Good Indonesian restaurants are hard to come by here in Australia so when we travelled to the Netherlands last year, we were keen to eat some good Indonesian food. My cousin introduced us to this tiny Indonesian Kitchen and ordered rijsttafel for the 4 of us. I am still dreaming of it now. The food was the best I've ever tasted. Makes me think I should go back to the Netherlands just for that! We went on a Monday evening, this is a small restaurant, and it filled up very quickly. Service was friendly and quick. 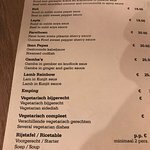 We ordered the "Rijsttafel" which came after a starter, a soup and two kinds of sate. Luckily the portions were not very large, otherwise there would have been a lot of left-overs. The rijsttafel is essentially a little bit of everything, so a perfect tasting experience. All in all a nice dinner. Tiny, wonderful, and authentic, this little place is a gem. Be sure to make reservations though as it is a popular spot. In a great neighbourhood ,small slightly cramped restaurant but great food and service. Book ahead as it is busy with tourists and locals. 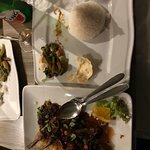 If you don’t know Indonesian food go for the Rijstafel about 8 tasting dishes including Satay and a great fish soup about 40 euros a head. Great flavours on every Dish - Rendang , Lamb chops and Chicken coconut curry were great but the fish starters were also excellent. Service is great,very welcoming and passionate about the food. Don't miss, its a gem! Go for the Rijestaffel - a really wonderful example of the Indonesian influence in the Netherlands. It was utterly delicious and we enjoyed all of it. Order extra crackers - the satay sauce that accompanies is exquisite. 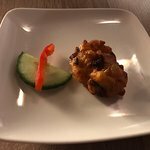 Been to Indonesian Kitchen? Share your experiences!